Yup, as I age and started my business, the remedy to preventing me from going insane is a 175gram of plastic. This plastic I’m referring to is not a drug, even though it may sound like one. Well technically it’s sort of like a drug cause once you start to get into it, you just can’t stop. For some people, this plastic seems astonishingly foreign where perception is something to play with dogs or on the beach. While for some, it’s a universal language, where anywhere I go in the world, it’s usually welcomed with open arms. This 175gram of plastic is truly the beloved frisbee disc and this is a story of my Ultimate Frisbee journey. It changed my life, my thinking, my perception and shaped me for who I am today. Many students always asked about my history like how I ended up starting a business, I would like to believe that this plastic played a major part in that, so if you are a student, do continue to read. If you are an adult, I encourage you to come and learn the game. The love for this has no boundaries. I have seen some people loving the sport more than their other half, it’s because it’s not just the sport, but a combination of a lot of things – from the people, to the nature of the game, to the experiences created. The best case scenario, is marry someone who plays this sport and be as crazy as you are, then that’s a natural match make in heaven. You see, it’s a sport that was introduced in Malaysia only in 2001 and the pace of growth for the first 9 years were relatively slow as compared to pace it is now. My journey started in 2007, when I went to watch a game of my coursemate, Sean, at University of Malaya to understand what Ultimate frisbee is all about, that didn’t really hook me yet, but it’s my first encounter of a proper game. The game was unique by itself when I first watched it. 7 v 7 on the field, with men and women playing on the same game. Besides, it’s not a physical contact game, where players are not allowed to tackle each other. And the best part of all is the high spirit that is uphold by both teams who are competing that is usually unseen in a sport. The after game huddle and the “3 cheers chant” were the tipping point. And then it took a bunch of crazy enough Nottingham Business school students to want to kickstart a Ultimate Frisbee club in the university. And that’s when I was first introduced to the game, as those crazy peeps were my coursemates. It all started with say less than 15 people, meeting up almost every day after class to toss this plastic disc to each other. The ones who have played the game before would be there to guide most of us newbies. Backhand throw. Forehand throw. V Cuts. Vertical stacks. Horizontal stacks. These are the common flow of learning for any new community nowadays and it’s such a classic when I look back. That’s how most of us first learn. The effort to recruit players were just amazing, with friends dragging more friends, and then we started having people from non business school, people of different year coming together after class to throw this plastic disc. The funniest memories of all was always the attempt to recruit more female players as it’s compulsory to have female players in teams as this sport also promotes gender equality. Most importantly, we learn what Spirit of the Game is all about – which is upholding our integrity and learning how to self referee ourselves to maintain a high discipline and safe environment for everyone was the key to making sure everyone represents a lot of themselves. That was when we started to learn to call fouls on ourselves if we hit a players hand unintentionally when they throw, when we push a player unintentionally, when we trip someone – even when it is usually considered as a disadvantage in sports for ourselves, but the bigger goal to maintain the spirit remains. And this is what makes Ultimate Frisbee what it is today, which is something unexplainable until you readers experience it yourself. My mindset started to change through this process. I had to learn how to evaluate the value of my honesty and the intention of upholding honesty for others apart from myself. And since then I was hook, from 2008 to today. I can never forget the first few tournaments that we joined, even though we lost, we still had so much fun. It was more than the winning and losing, it was the people, the drive to improve after every tournament and every practice at university. And as the year progresses, our university team got bigger and bigger. When we won our first gold medal, I think that was the highlight of our team after many years of hard work and I could still remember the day like it was yesterday. But it takes more than that to anchor this sport as a life changing experience for me. There were 3 things that I was always inspired by that made me continue playing this and spreading the love of this sport. 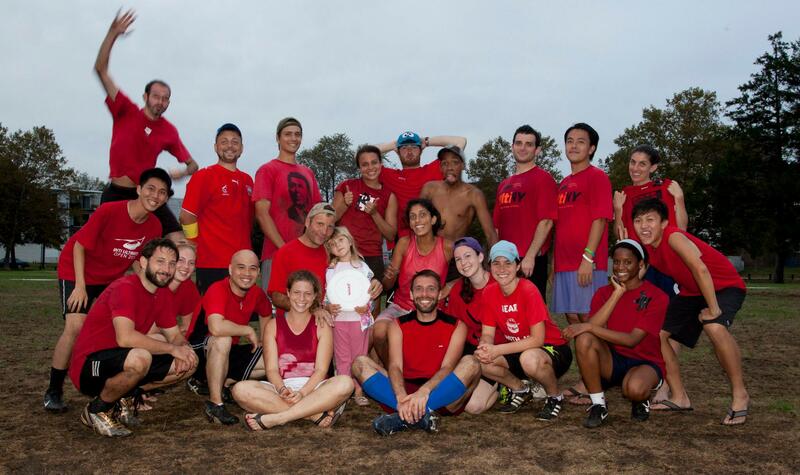 It was my first Malaysia Ultimate Open that I joined and I was playing for a new team call Pirates. The captain was a Scottish guy name Martin who was aged above 30 but he was like fast. Damn fast. And to top it all up, he was wearing a Klit. I kid you not, my whole mindset of the correlation of fitness and age changed. I was struggling even though I’m younger but the inspiration to do better started from there. And the key turning point is, the willingness for him to teach us to improve after every point even though it’s my first time meeting him, but yet the willingness touched me. The encouragement, the step by step guide, is what shaped me on how I wanna improve myself so that I can give back to people in the future. Thanks to him, my mindset evolved. 2 working adults, spreading the love of Ultimate, bringing community together, hosting tournaments for the people could be seen as just something casual on the surface. 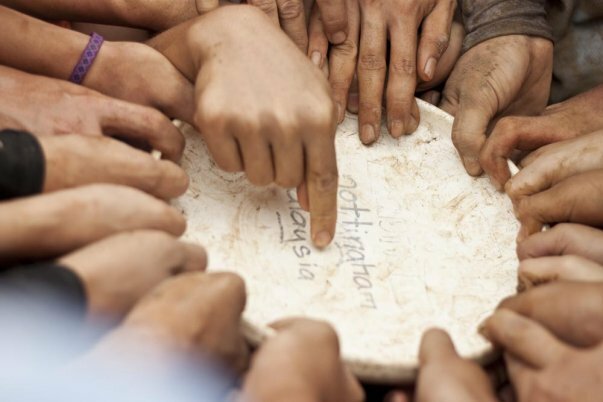 But when you look into their sacrifice of love for the people, in having people to have a good time from all walks of life, was a blessing for the whole Malaysia frisbee community. This is none other than Kuan and Safwan (who are commonly known only among senior players who started between 2001 – 2012). They were always ever willing to teach, on how to catch, how to cut, how to throw, even though i’m just a young kid back then. Their contribution to the community in hosting tournaments which are priced relatively cheap yet giving back great value was very touching. When I started ultimate, I still remember tournaments priced where never exceeding RM 30 for a one day tournament and MUO was less than RM 150 for the first few years. I’m pretty sure they did some monetary sacrifices for the community with no intention in making profits, as I have done an estimation (as usual a business student thinking). The high level of positive encouragement given by my team mates when I was playing for a new team, The Revs, in New York. Their level of spirit was really unseen back home, and the energy that they create to life each other up really taught me how much one can actually go all out to support each other in the team, on and off the field. I really thank them for that, the crazy bunch of Revs. Kuan’s and Safwan’s move to put the community first is my inspiration to host the first annual under19 tournament back in 2012, after coming back from New York. This is to develop the younger aged players and have the sport expose to more people, all at a reasonably priced rate. No profits gain, but pure love for the people. Kuan and Safwan’s act taught me how to give back first without personal gain and that has shaped my mindset on what giving really is, without expecting anything in return. When we fall in love with something great, this is when we wanna spread it. But not all is well in my frisbee journey before. My down moments when I was chased out from school by a high school principal from my hometown, as he deemed it was dangerous. I couldn’t then teach in the high school anymore, but only in a park outside. Whoever that was interested will then come and just learn to toss. It was tough being shut down from loving people but heck that’s part of life. We ended up with almost about 10 high school kids playing with each other at a park almost every week during my summer break in 2009 and I was glad I took the risk anyway. But beyond that, from tournaments like Bangkok Hat, Penang Hat, Malaysian Ultimate Open, joining a team in New York, to hosting tournaments in Malaysia are really highlights of my life. I have met people all walks of life from countries around the world and learn so much about culture, mindset and through these experiences, great friendships are forged. 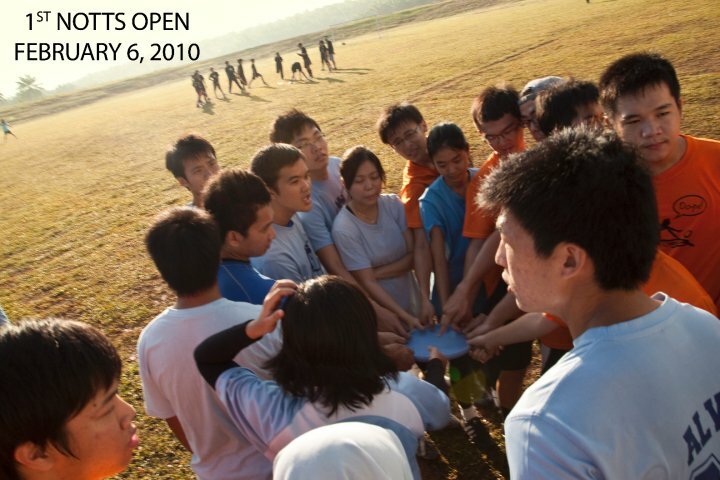 The Malaysian Ultimate scene has grown so fast in the recent 5 years, where now almost every state in Malaysia has a team and there is now officially a Malaysia Flying Disc Association, where it’s aimed to provide a platform to bring up the level of ultimate through talks, clinics as well as providing guidance to organisers and captains of teams. What’s even greater is the amount of female players who joined the community over the years have grown leaps till the stage where Malaysia could host their own all female only tournament. It truly is gonna be exciting to watch this Frisbee space grow in Malaysia in the coming years. Ultimate Frisbee is truly a universal language where people are receptive of each other even if one is 50 years old and the other is 10. There are no barriers of age in teams. You see, it’s a sport that people can be competitive when it has to be but still remain friends most of the time. The format of a Hat tournament whereby players are sorted individually to different teams just make the game even more beautiful, as more great friendship are forged. I have been active for the past 5 years, but looks like I may get back into the scene again, this time supporting the community from various measures. As life gets tougher, I see myself going back to this plastic even more, as the joy it brings keep me sane from the work pressure. Now that I’m working, I am able to give back to this lovely community that’s close to my heart. There’s a lot of potential that the community can achieve together, apart from just playing sports. This 175gram of plastic is more than just a sport. It’s a movement of respect, integrity, joy, relationship and love.